Talking to an old friend of the B.A.F. Семинар в мае 2005 г.
Семинар в мае 2006 г.
PM: Sensei, it seems to me that over the last few years you have been pulling a lot of emphasis on the Tori-fune ('boat-rowing') exercise and the importance of its movement in Aikido techniques. KS: Well, I didn't used to do Tori-fune until I began to practise under Chiba Sensei (from 1971). There are of course various ways of doing Tori-fune. There is the deep Tori-fune where you stretch forwards and bring your hands down to the tatami, and then there is the small movement which, you remember, Okumura Sensei did when he came to Cardiff in 1986; and there is what we might call the standard Tori-fane, which many Hombu instructors do. I remember that Chiba Sensei told me about the importance of Tori-fune and Kokyu-ho. He said that you could judge the quality of someone's Aikido from seeing them perform these exercises. We perform Tori-fune at the beginning of practice as a form of spiritual cleansing. It helps us to plunge 100% into Aikido once we come into the dojo from outside. 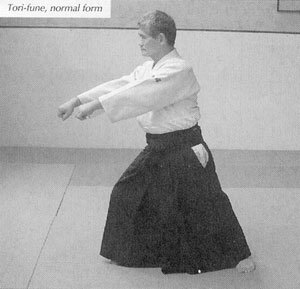 And mis is shown in the training manual (this work, published in 1971 is unfortunately no longer available) of the late Doshu, "Introduction to Aikido" ( ), where Tori-fune features as part of the essential stretching exercises at the beginning of practice. Lately I've discovered, after 40 years, that all the essential elements of Aikido movement are to be found in these basic exercises: Tori-fune, kokyu-ho and hai-shin undo (back-stretch). 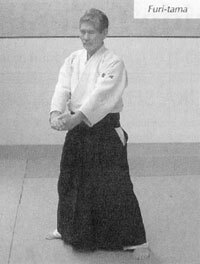 Once you have mastered these, Aikido techniques are easy. PM: So Tori-fune is important because it involves certain basic principles of Aikido movement. KS: Yes; and I used to think that Tori-fune involved just shifting of our centre of gravity, forwards and backwards. But the movement of your hand (with or without a weapon), whether it is in shomen-uchi, yokomen uchi, kesa-giri, tsuki - anything - must originate from your shoulder. Your shoulder is just like a hinge; then your elbow bends and then your wrist. 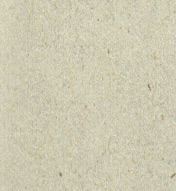 All these joints must be involved in one movement: one strike or one hand cutting down. We simply swing the arm up and down. And this is particularly the case in deep Tori-fune. It's not a matter of just pushing and pulling with eh-ho, eh-ho. 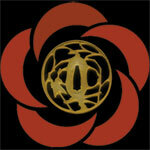 The moment we stop the forward movement, we relax and our elbows and shoulders drop. This is a very important point. You'll find the same in say Tai-chi Chuan or Karate. In our Aikido techniques how we make contact with our partner, how our stance, our centre, our hand (or hands) are all in the correct position for the situation is very important: and this is all reflected in Tori-fune. We have a phrase in Japanese: shumoku-no ashi. 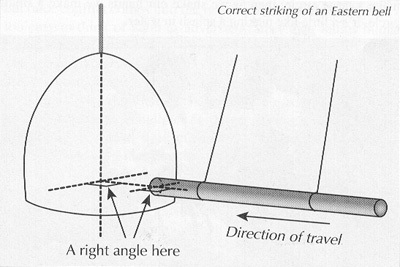 It describes the angle at which someone strikes an Eastern-style bell. In temples in Japan and China a large hanging bell is hit with a tree-trunk which is also suspended and swinging. The person striking the bell must be in correct stance to swing the log and make it strike the bell exactly at right angles. Shu means 'bell', moku means 'wood' and ashi, of course, means 'foot' or 'step'. So your feet must be placed with the front foot directed forwards and the rear foot pointing at right-angles to the forward line. In striking the hell you must move as in Tori-fune, using your whole body. PM: I'm a bit confused about the meaning of Tori-fune. We usually call it the 'boat-rowing exercise'. Why is that? KS: It's often translated as 'boat-rowing' exercise, because it resembles the action of rowing a small boat. As you know, boats in the East are rowed in a way quite different from that in the West, They are propelled by a single oar and the rower faces the front of the boat, rowing and steering the boat at the same time. Another name is Funa-kogi Undo ( )- Fune means 'boat'. But in some books it is written Amu-no Tori-fune ( ), ama means 'sky' or 'heaven'. and tori means 'bird'. I think the idea is that the boat is flying through the heavens taking the person on a spiritual journey. KS: That's right. Our arms are just hanging or swinging. That's why I do all three kinds: deep Tori-fune, small Tori-fune and the standard Tori-fune. And sometimes I show Tori-fune swinging the arms to the side. The important thing is how, with our feet in the right place, we shift our centre of gravity backwards to forwards or forwards to backwards. A good example is the solo exercise kokyu-ryoku tenkan-ho ( ) also called men-uchi ikkyo undo: ( ) or the partner exercise shiho-giri sotai fenkan-ho ( ) We step forward swinging our arms up, then turn and step forward again while our arms swing down, I think that once you realise this you'll find the same principle in so many Aikido movements. 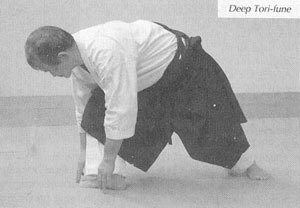 In ikkyo for example, as you step forward you swing your arms up and down in line with your centre. PM: So what can we say about Furi-tama'? What does it mean, and why do we do it following Tori-Fune? KS: There is a pair of meditational exercises: ama-no tori-fune and chin kon furi-tama no gyo ( ). They are always done together: they are like two sides of a coin. Chin kon furi-tama means something like 'to calm the soul and to shake the spirit'. The kanji character for kon can also be rendered as tamashiii and there is another similar word for 'soul': tama. Furi means 'shaking' and tama, written differently, has the meaning a ball*. So, depending on the characters used, tama can mean either 'soul' or 'ball'. I interpret it like having two small balls in your hands. Your palms are not sticking together but cupping; and when you shake your hands, the little balls rattle together and make a sound. That's the feeling when you shake your hands in Furi-tama. If your body is properly relaxed you can feel the rhythmic shaking all through your body. It's a contemplation exercise bringing our concentration down into our tanden and calming both body and mind after the vigorous action of Tori-fune. PM: But it's not just a matter of shaking your hands up and down, is it? PM: Another thing I wanted to talk to you about is your preference for sokumen as a starting position for techniques. KS: Of course, the most basic movements arc omote and ura. When the partner is pulling we do techniques omote with irimi movement, and when he pushes we do them ura with tenkan. This is how we practise them as an exercise; hut in reality it's difficult to do a technique omote and be in a safe situation. In hanmi-handachi katate-dori and ryote-dori shiho-nage we don't have a choice: we have to make irimi or tenkan immediately when there is contact. Impossible to come into sokumen first. You have to protect yourself as you enter. Your foot or knee advances inside, across your partner's front, as you swing your hand up. In a standing situation, the most important thing is to avoid the attack by stepping aside, and at the same time you protect yourself and control your partner - in one movement. So I show both: without sokumen-irimi (even from gyaku-hanmi contact). You can do techniques without stepping aside. But I think this can be dangerous. It's like when a ear is coming towards you: you have to step aside to avoid getting hit. So I usually make one step to the side and from there I make omote or ura. And this makes it easier to do techniques. It's important to attack your partner from an angle, not from the front. PM: So, what you are saying is that sokumen is the safer situation to be in. KS: But sometimes there is no time to step aside, so you have to make a small tenkan. We call it tai-no henko. Not necessarily through 180°: it might even be just about 40°. Simply shift your centre. 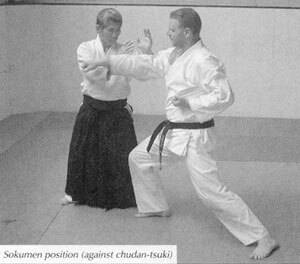 So from kamae you can take one small step, either into sokumen to the rear side of your partner or with tenshin to the front side. It's important to have the correct ma-ai. PM: So, to sum up: first put yourself in a safe position, able to protect yourself from attack; second make good contact with your partner so as to be able to control him. KS: It's important to deflect the attack, like flicking ii away from you-not pushing. This requires very soft, flexible movement. Your shoulders and arms must be very relaxed.